A man in traditional dress of Kaštela, Croatia in 1870. 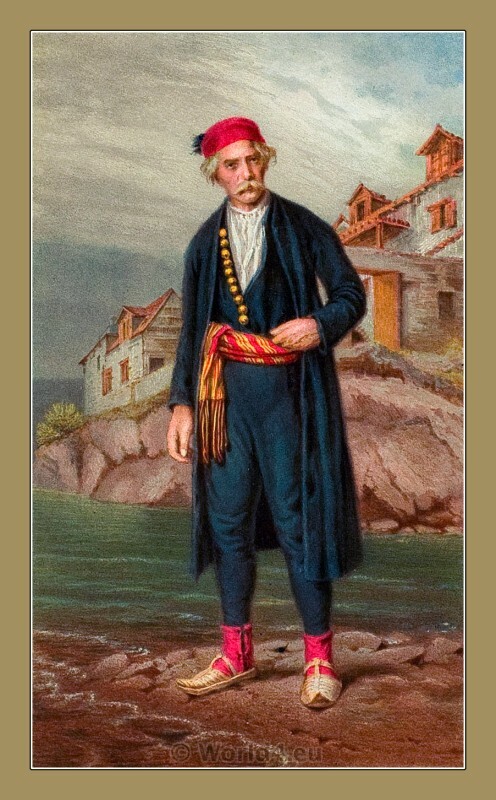 Home » A man in traditional dress of Kaštela, Croatia in 1870. A man in traditional dress of Kaštela (MUŠKA NOŠNJA IZ KAŠTELA), Croatia. Gallery: The Serbs in the Adriatic. Their types and costumes. Published 1870-1878. Brockhaus Leipzig Germany. This entry was posted in 1870, 19th Century, Serbia, The Serbs in the Adriatic, Traditional and tagged Croatian national costumes, Serbian national costumes on 3/11/13 by world4.